The Morgan Club is a regular supporter of the Prescott event. This year’s Prescott Bike Fest is set to be the biggest and best yet, with so much to do that organisers have now extended it to cover two days. 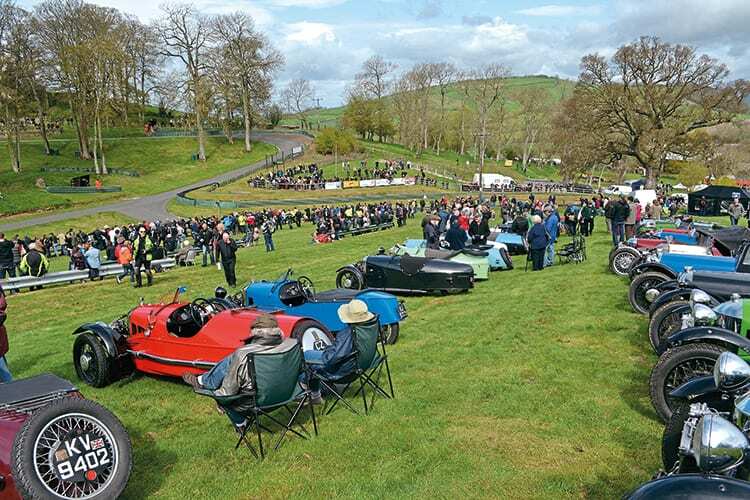 The event will return to the Gloucestershire hill climb venue on April 14/15, and it will feature a hugely diverse range of machinery covering virtually every era of motorcycling. Throughout the weekend there’ll be live music, special guest appearances, a large zone for youngsters, more than 100 quality trade stands, clubs, plus beer and food tents. All proceeds go to the Nationwide Association of Blood Bikes and regional Blood Bike group Severn Freewheelers. The latter is one of 27 Blood Bike groups around the UK that provide a free out-of-hours courier service for medical essentials. The life-saving service is run by volunteers and operates between NHS facilities, with Severn Freewheelers alone dealing with around 400 calls per month. Bike Fest has raised well over £200,000 for the charity since the event was founded.